Potter Construction is a full-service remodeling company serving the greater Seattle area since 1979. Our experienced design/build professionals will guide you through a construction process that is as stress free as possible, while delivering your remodel on time and on budget. Whether you are interested in doing a kitchen, bath, or home remodel to better reflect your style, building an addition to create more space or simply redefining the space you have to create a media room or home office. Potter Construction can help turn your house into your dream home. One experienced project leader oversees your project from start to finish and ensures that the work goes smoothly. Our dedicated design/build team works closely with you to understand and implement your goals. We seek to simplify a complex decision-making process with a face-to-face pre construction meeting and weekly meetings with clients during construction. Our convenient, professional West Seattle construction office makes it easy for clients to be in touch. Your home is kept safe and clean—we minimize the impact on your life. Vertical Construction Group focuses on customer service first, as communication and clarity with our clients is most important. We know that not everyone is an expert in construction, so it is important to make the remodel process as transparent as possible to minimize confusion between the client, designer, architect, and contractor. We stick to the design intent to the finishing detail. Our team pays attention to detail without losing focus of the scope, budget and time frame for the overall job. Our estimates are detailed in explaining the order, scope, material and process required to successfully tackle your project and bring your vision to life. I have hand-selected our team through years of experience; they all know what is expected of them and they all meet my approval. Mission Statement: Vertical Construction Group strives to build a high quality product at a reasonable price while maintaining full communication throughout the process. Contact us now for a free consultation! Specializing in Kitchen and Bathroom remodeling. Bora & Co Construction is a family owned and operated construction and renovation company in Lynnwood near the Seattle, WA area. The company was founded by three brothers, Cornel, Gabriel and Jonny, all coming from a construction background. Together, we offer many years of experience and comprehensive construction knowledge. As licensed, bonded and insured contractors, we have successfully completed hundreds of quality builds and renovation projects from Lynnwood to Mercer Island and the greater Seattle, WA area, both residential and commercial. Over the years, we have built a reputation based on high quality build, upmarket designs, integrity, professionalism, and management skills. We turn any kitchen, bathroom, master suite, addition or office renovation dream into reality by using the best quality craftsmanship and products while managing deadlines and budgets effectively. Our experienced project managers will handle your renovation from the initial quote all the way through the final walk through. Our mission is to ensure that each client’s project turns out exactly how they envisioned it. PLUMB LEVEL SQUARE is owned by Edward who has over 30 years experience as a Builder & General Contractor We specialize in commercial style kitchens so if you are looking for a gourmet kitchen experience, let us bring one into your home! In his spare time, Edward enjoys spending time with family and friends, building pizza ovens, and extreme skipping. 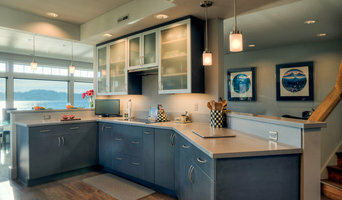 *Authorized Crystal Cabinets Dealer* As a full-service design/build remodeling firm, we specialize in exceptional service to the Seattle and Puget Sound area — offering creative and outstanding value to home renovations. We handle it all - from the design in its entirety, to sourcing all of the materials, aligning tradespeople and subcontractors, to finally overseeing all of the construction. We want to be your one-stop-shop for your next home remodel. In business since 1989, Creative Kitchen & Bath seeks to stay on top of new home innovations, current code requirements, and -most importantly- designing & building a new space that reflects and enhances YOUR lifestyle. Give us a call today for a complimentary consultation and estimate. Let's get started! 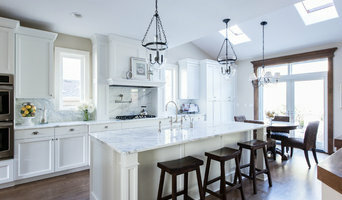 Community Builders, a family-owned business, has successfully provided kitchen and bathroom remodeling services to the greater Seattle area since 2002. Here's our proven recipe for success: We treat each client as a member of our team. Our philosophy is simple: we listen to you. We will see your vision through from beginning to end. We streamline each job by partnering with professionals that specialize in a unique area of expertise. We only work with the best! We deliver quality on all fronts. This means finding the best materials to use for your project, but it also means working with you to stay within your budget. All of these facets contribute to a successful partnership that ultimately brings your vision to life! 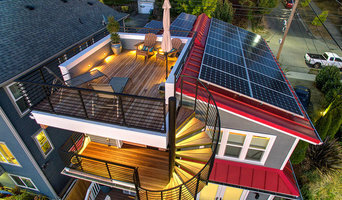 Seattle Style Remodel offers an array of services varying in size and scope. Our talented, dedicated team of experts is able to assist you from concept to completion. We have the experience and resources to handle the unique working conditions of the region and ensure timely completion of your project. Most importantly, we respect the fact that we are working in your home. For your safety and peace of mind, all of our experts are fully licensed and bonded. Best of Houzz 4 consecutive years for customer service. Eastside Kitchen & Bath is a small business dedicated to customer satisfaction with years of experience. We are a full service remodeling company with a main focus on kitchen and bathroom remodeling. We work with our client's input throughout every stage of the project, to help create your vision into a reality with our talented team of dedicated professionals with years of experience. Our goal is to transform your home into an elegant space you enjoy. If you like high quality workmanship then you will love working with us. We provide the highest end installations for very competitive pricing. With an in-house tile crew of CTI certified tile installers we can offer high end tile work for reasonable cost. We look forward to working with you! We are a professional kitchen and bath design / build firm. A licensed general contractor and design firm; 29 years in business with a showroom and office in NE Seattle. Our projects reflect our clients needs, tastes and budgets. "Better ideas for a better home; solutions that transform your life." 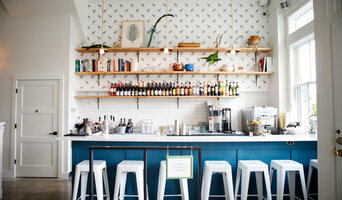 Seattle's Rutt Handcrafted cabinetry showroom. Unmatched craftsmanship and unlimited cabinetry design capabilities. We work in the Puget Sound region and out of state depending on scope and scale of the project. We are a Rutt cabinetry dealer; Adelphi and Hertco as well. We are also an authorized Wolf/Sub Zero design firm. "RENOVATIONS YOU'LL RUN HOME TO!" Beginning at our initial in-home consultation and continuing throughout the entire building process our client's input is our highest priority. We do take the time to make sure that each Kitchen & Bathroom Renovation is a reflection of our client's lifestyle and needs. Your experience when collaborating with Home Run Solutions will be informative and exciting. We strive to build trust with each of our clients and give them confidence that their project will be delivered to them in a timely manner, within their desired budget, and to exceed their expectations. Our goal is to make your Kitchen & Bathroom Renovation an experience that you'll rave to your friends and family about! Artwork-remodeling LLC is a full service remodeling company that is dedicated to turning the house you live in, into the home that you love! We are fully licensed, bonded, and insured.We doing kitchen and bathroom remodeling almost for 20 years. We are designers & remodelers specializing in craftsman, postmodern & northwest contemporary style homes. We are dealers for national brands, Green certified & have specialty interior products. Capitol City Home Improvement: a family owned and operated construction company able to do building and repairs! We especially like to do kitchens and bathrooms but we bring a wide range of experience to your projects. At Motso Construction Inc., we've remodeled hundredths of homes. From the simple to the lavish, we've experienced it all and we can help you every step of the way. There is no job too small or too big for our knowledgeable crews. We've happily done it all and are looking forward to helping you turn your dream home into reality. What does a Shelton kitchen and bath remodeling expert do? Licensed Washington kitchen and bath remodelers are contractors who specialize in altering the structure of an existing space, rather than building one from the ground up. Because he or she must deal with a previous builder’s work, the job can get more complicated than new construction. You might wonder why they often specialize in both kitchens and bathrooms, but if you think about those two spaces, they actually have a lot in common. Kitchens and bathrooms include an abundance of fixtures that require careful planning and installation, including sinks, faucets, tubs and toilets that all need water hookups and drainage. They also use similar materials, such as tile and stone for countertops and flooring, due to the nature of their use. So it makes sense that Shelton kitchen remodelers and bathroom remodelers be one in the same. A bathroom or kitchen remodeler translates architectural plans from page to reality; some are also trained to provide design services so that you don’t have to hire a separate pro. Like a general contractor, a kitchen and bathroom remodeler in Shelton, WA is responsible for hiring and supervising subcontractors and providing materials when necessary. They also should have a thorough knowledge of Washington building codes and construction-related legal issues, as well as current design and product trends. Here are some related professionals and vendors to complement the work of kitchen & bath remodelers: Woodworkers & Carpenters, Kitchen & Bath Designers, Interior Designers & Decorators, Architects & Building Designers, General Contractors. 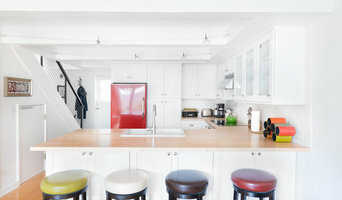 Find a Shelton kitchen and bathroom renovator on Houzz. Narrow your search in the Professionals section of the website to kitchen and bathroom remodelers in Shelton, WA. You may also look through photos of Shelton, WA spaces to find kitchens or bathrooms you like, then contact the bathroom or kitchen remodeler who worked on it.